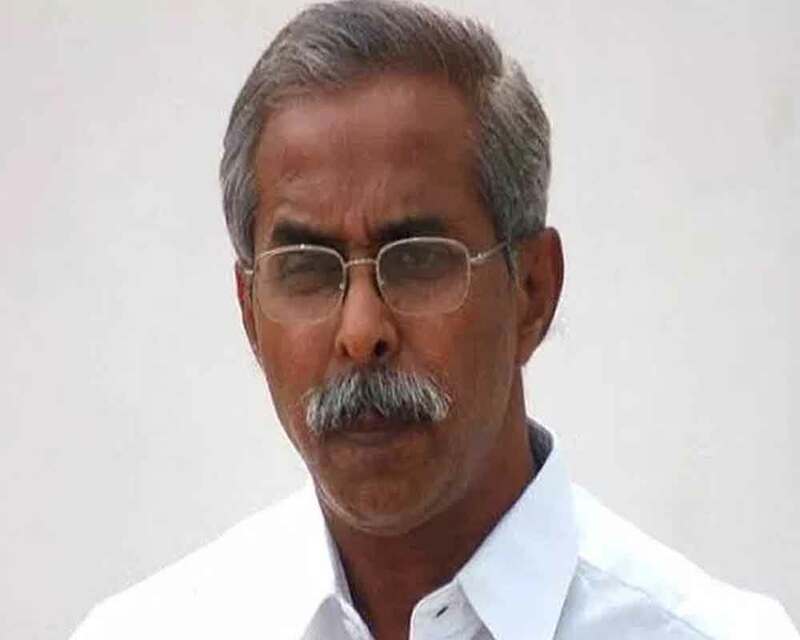 Y S Vivekananda Reddy, former minister and younger brother of former Andhra Pradesh Chief Minister M Y S Rajasekhara Reddy, was Friday found dead at his house in Kadapa district of Andhra Pradesh. Police initially registered a case under Section 174 Cr P C (unnatural death) when the body of Reddy was found by his staff early in the morning. After a post-mortem in the local government hospital, police confirmed the case was altered to Section 302 IPC that relates to murder. His party, the YSR Congress, demanded a CBI investigation into the case even as the Andhra Pradesh government constituted a Special Investigation Team, headed by CID Additional Director General of Police Amit Garg, to probe the death. This was the third unnatural death in the YS family that has a powerful political hold in Kadapa district. While the father Y S Raja Reddy was murdered in 1998, the eldest son M Y S Rajasekhara Reddy was killed in a helicopter crash in 2009. Vivekananda Reddy was a two-time MLA, two-time MP and a one-term MLC. He served as agriculture minister in the N Kiran Kumar Reddy government in united Andhra Pradesh. The 68-year old YSR Congress leader is survived by his wife and a daughter. Police said injuries were found on the forehead, head and its back, besides on the hand and thigh. "We have gathered some clues in the case. We are questioning the former ministers household staff. Some fingerprints were also collected from the scene," Kadapa District Superintendent of Police Rahul Dev Sharma said. "We have taken the case seriously and are investigating it from all angles," Sharma added. Chief Minister N Chandrababu Naidu spoke with Director General of Police R P Thakur and other senior officials and asked them to conduct a thorough investigation into the former minister's deaths and not spare the guilty, said a CMO communique. Naidu recalled Vivekananda's services as a public representative and extended sympathies to the bereaved family. His death sparked a political row between the TDP and the YSRC. "He actively took part in election campaign in Jammalamadugu yesterday. That he died suddenly gives rise to several suspicions. So we want a CBI investigation to bring out the facts," YSRC spokesperson Vasireddy Padma demanded. State Animal Husbandry Minister C Adinarayana Reddy, who belongs to Jammalamadugu, took objection to YSRCs insinuation and said it has become a habit for the opposition to politicise everything. "I also want to know the facts behind such a nice persons death. We too want an impartial inquiry, but YSRC leaders should stop mudslinging," he told reporters here. Known to be a down-to-earth and genial person, Vivekananda was elected as MLA in 1989 and 1994 from his hometown Pulivendula in Kadapa district. He was elected to the Lok Sabha from Kadapa constituency in 1999 and 2004 and to the Andhra Pradesh Legislative Council in 2009. He had a differences of opinion with his nephew Y S Jaganmohan Reddy after the latter quit the Congress and established the YSR Congress, and chose to stay back with the parent party. Vivekananda lost the by-election to his sister-in-law, Vijayamma in 2011. Two days ago, he was seen at the Lotus Pond residence of Jaganmohan Reddy in Hyderabad and on Thursday he campaigned for the YSRC in Kadapa district. He was reportedly alone at his residence in Pulivendula on Thursday night. "There was no response when I went to his house this morning. I called his wife in Hyderabad over phone and she asked me not to disturb him. Later, the cook and other household staff reached the house but they too did not get any response. I then went in through a side door and found Vivekananda's body in the bathroom, with blood clots in the bedroom and the bathroom. There were several injuries on his body," Vivekananda's personal assistant M V Krishna Reddy said. He lodged a complaint with the police, based on which the FIR was registered. YSRC MP V Vijayasai Reddy expressed shock over the former minister's death. "He was such a humble person who always engaged himself in public service. It is a huge loss to the YSRC and also the state," the MP said in a message. Amaravati (AP), Mar 15 (PTI) Y S Vivekananda Reddy, former minister and younger brother of former Andhra Pradesh Chief Minister M Y S Rajasekhara Reddy, was Friday found dead at his house in Kadapa district of Andhra Pradesh.